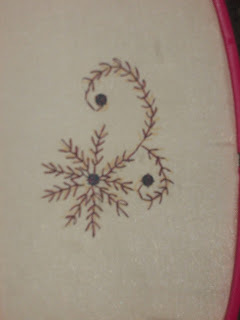 This week's tast challenge Italian border stitch is a new one to me. I enjoyed it very much. Kundan and sequins rangoli: The first is made with sequins and the second one is with kundan stones. I did these for my neighbor to decorate navarathiri kolu. 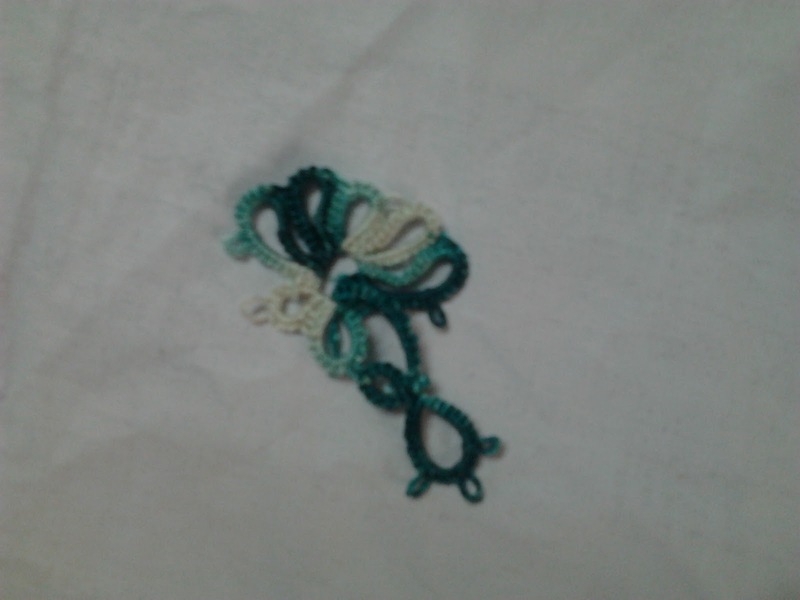 This week's Tast challenge knotted loop stitch is a new one to me. I think this is more suitable for filling large areas. I like this stitch very much. I want to stitch this rose on my daughter's kurthi, before I try this on my hanky. 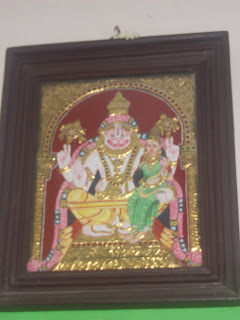 I used Anchor's kasuthi net for stitching cross stitch. 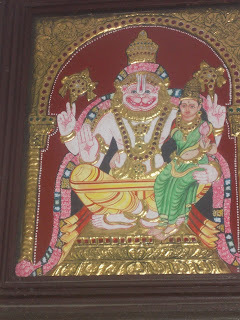 Isn't it nice? 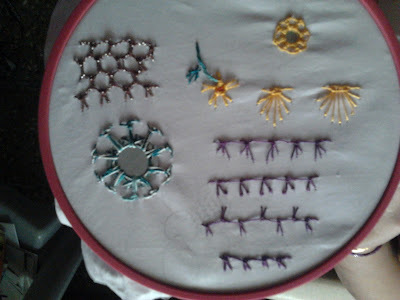 This week's Tast challenge beaded hedebo edge stitch is an interesting and easy stitch. It gives a flower look around the mirror work. I enjoyed the stitch very much. This week's tast challenge, knotted buttonhole stitch is an interesting one. 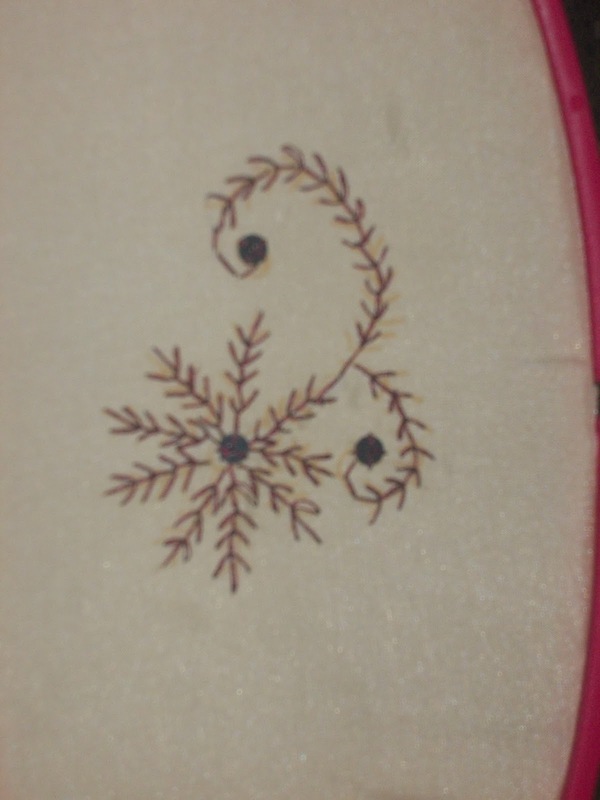 It is most apt for border and used as filling stitch. 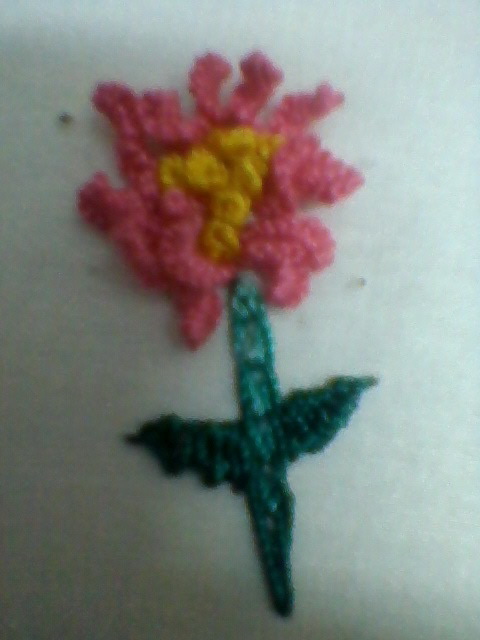 This is my first needle tatting flower. I heard the name needle tatting for the first time through Ms.Annet's blog (fat quarter). 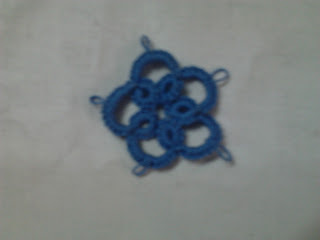 It is easier than shuttle tatting. It took me many years to learn the technique. 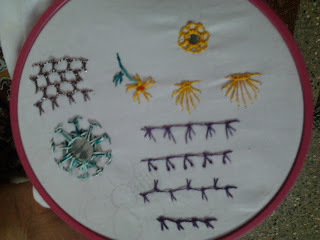 I bought a shuttle 20 years back and kept it idle because i didn't know how to use it and after ten years, I have learnt the technique through Coats Needle'n Thread magazine. 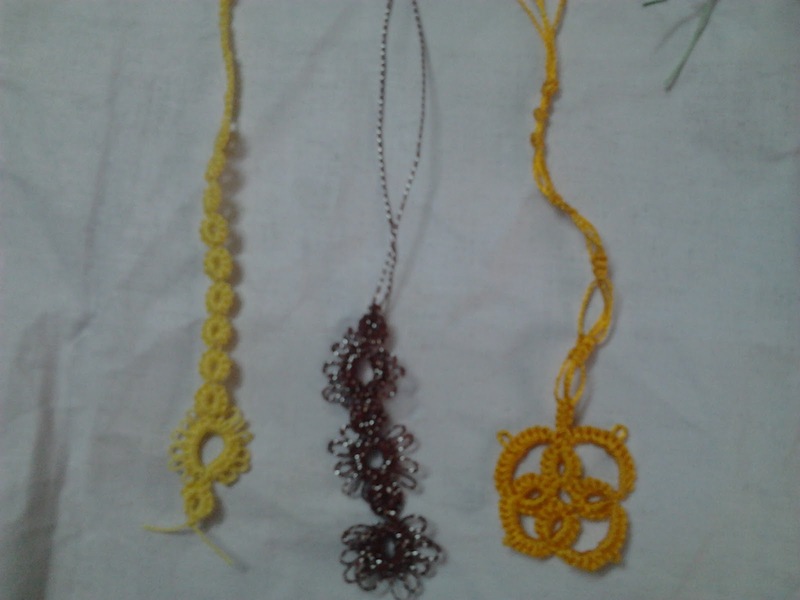 I feel Shuttle tatting is little time consuming process but this needle tatting is better. I tried some and converted them into book marks. 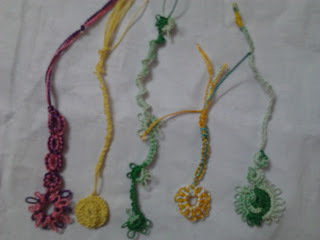 Thanks to needle tatting and other nonsense blog. In this blog the tutorials are much helpful to learn needle tatting. This is shuttle tatting flower.